Desolation Sound Marine Park is a boater’s paradise! With over 6,350 acres of shoreline and water, it is the largest Marine Park in B.C. in addition to being the only major park of any kind on the Pacific mainland coast of Canada. The Park can be split up into three major destination anchorages: Prideaux Haven, Tenedo’s Bay, and Grace Harbour. The topography of the park varies from relatively low rolling hills of Gifford Peninsula to the Unwin Range rising over 4,500 feet directly behind Prideaux Haven. There are many safe anchorage locations, most of which are either totally or partly enclosed by low shoreline or high cliffs, islands, or mountainsides. 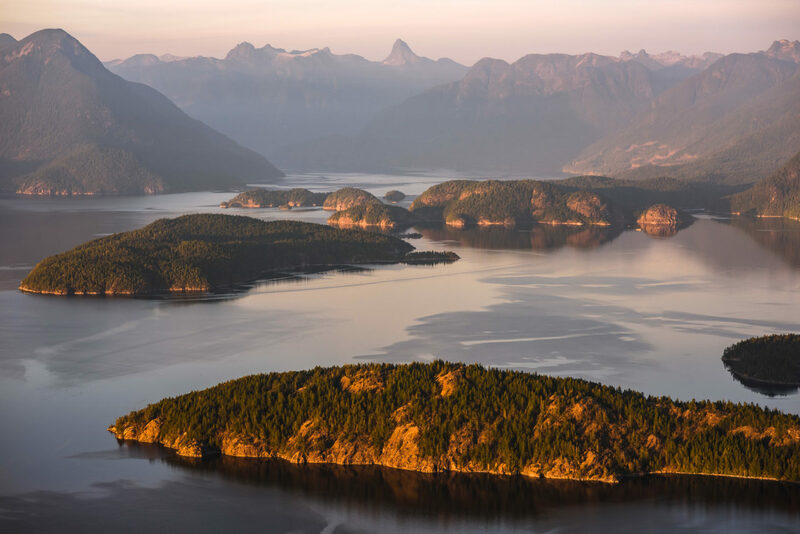 Warm waters make Desolation Sound Marine Park an ideal place for swimming and scuba diving, saltwater and freshwater fishing, and walk-in wilderness camping.